If the plant gods are listening, I would like to mention my love of weeping redbud trees. I’ve found that once I put it out to the world that I am trying to find something specific, it seems to happen! Okay, let’s look at some images of weeping redbud trees and see if this works again! Remember when I wrote about Purple Bell Vine? I found one within a few weeks! I fully admit that I love the form of a weeping tree. Does my entire garden need to be filled exclusively with them? Probably not, although I would love to give it a try! Weeping redbud trees have it all. Flowers in the spring, fabulous foliage all summer and even an interesting skeleton of branches for the winter. This plant is at the Greater Des Moines Botanical Garden and was planted in 2015. 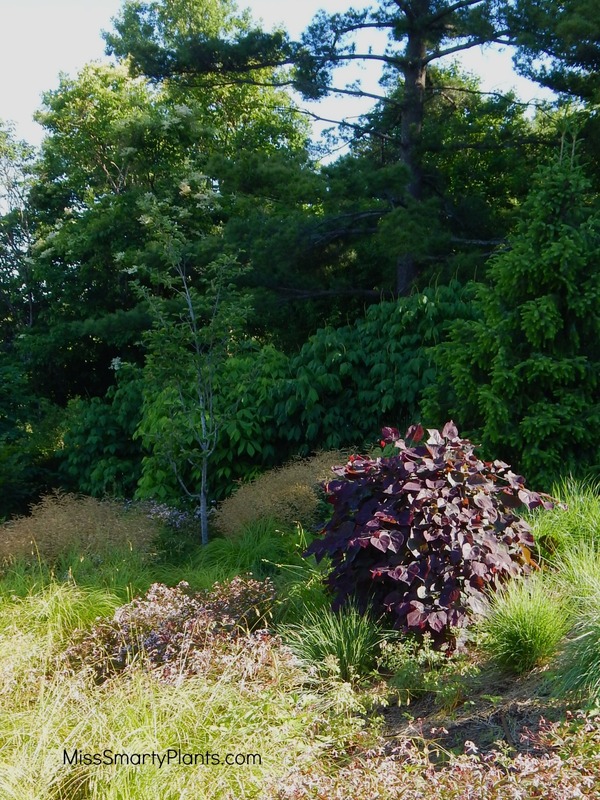 Even on this hillside it looks great and the dark purple foliage makes a nice addition. 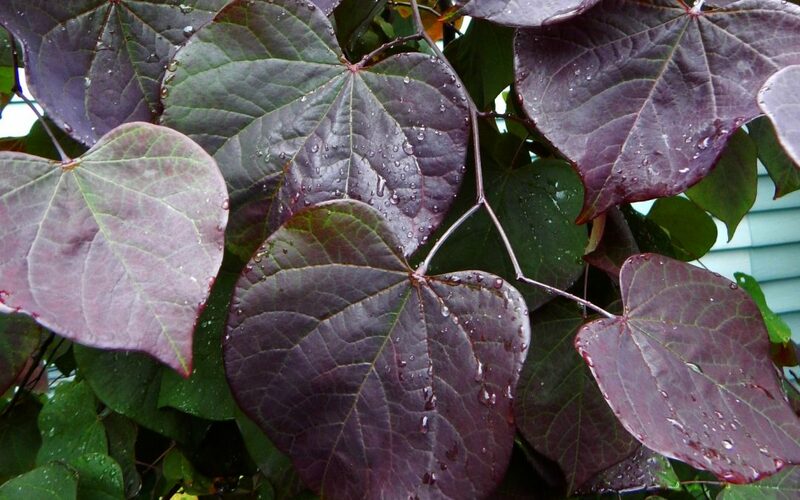 This dark foliage, in combination with the weeping habit, is part of what makes ‘Ruby Falls’ weeping redbud so special. 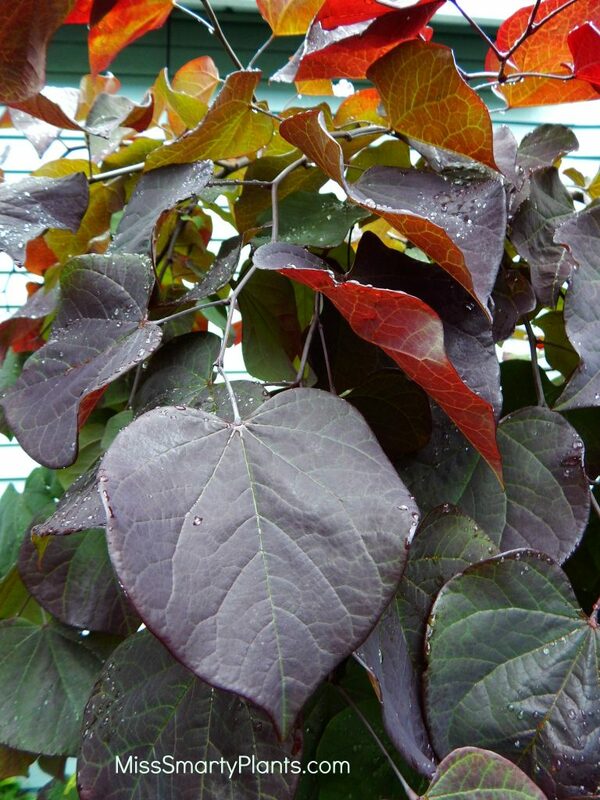 The dark maroon heart-shaped leaves are great on their own and will certainly add interest when planted near contrasting foliage. What do you think? 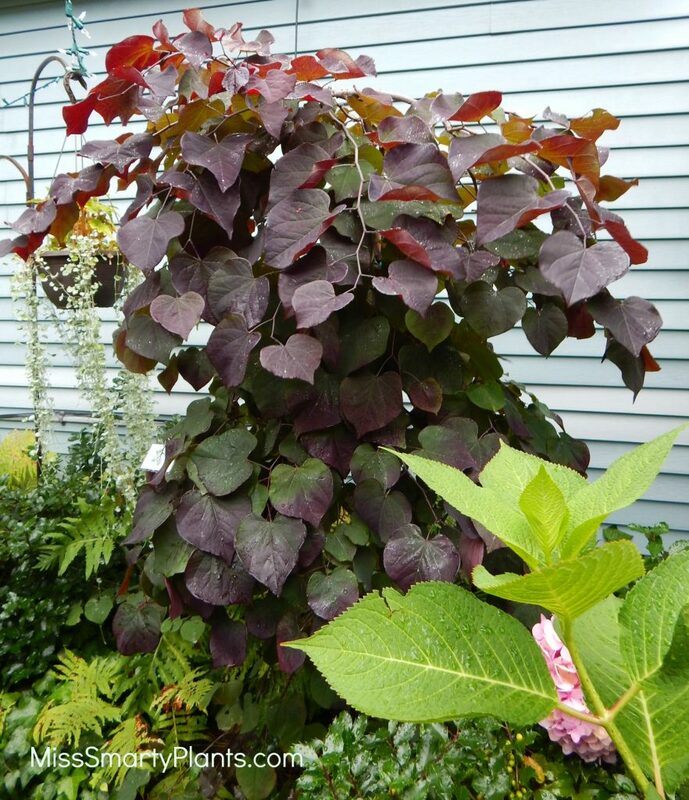 Is there room in your garden for a weeping redbud tree this summer?